Lima bean (Phaseolus lunatus L.) is a tropical and subtropical legume cultivated for its edible seeds. There are wild and cultivated types of Phaseolus lunatus, generally referred to as Phaseolus lunatus var. silvester Baudet and Phaseolus lunatus var. Lunatus respectively. Lima bean is a herbaceous plant with two main types of growth habit. The perennial form is an indeterminate, vigorous, climbing and trailing plant, up to 2-6 m tall, with axillary flowering only. It has swollen and fleshy roots up to 2 m long. Annual lima bean is a pseudo-determinate, bushy plant, 0.3-0.9 m tall with both terminal and axillary flowering. It has thin roots (Baudoin, 2006). The stems may be up to 4.5-8 m long. 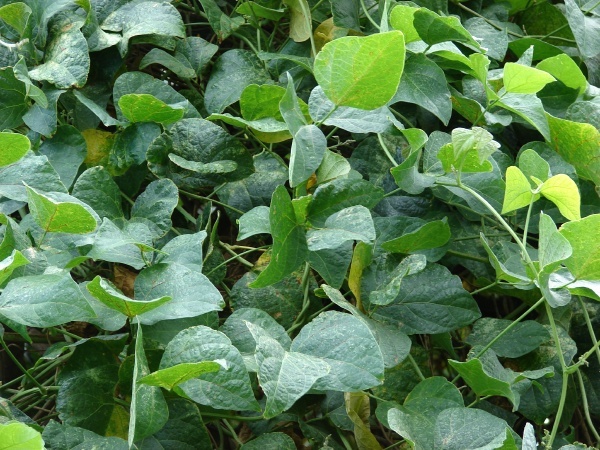 The leaves are alternate and trifoliate with ovate leaflets, 3-19.5 cm long x 1-11 cm broad. Inflorescences are 15 cm long and bear 24 white or violet bisexual flowers. The fruits are 5-12 cm long, dehiscent pods with 2 to 4 seeds (Ecoport, 2011; Ecocrop, 2011; Baudoin, 2006). Seeds are very variable in size, shape and colour. Cultivar groups have been distinguished according to seed differences (Baudoin, 2006). Lima bean sprouts, leaves, young pods and green seeds (immature or dry) are edible and eaten as vegetables. The dry seeds are eaten boiled, fried, ground into powder and baked, and used in soups and stews. The vines, leaves and empty pods left after the harvest can serve as fodder, and can be made into hay or silage. Lima bean may be used for green manure or as a cover crop. Lima bean might be valuable in intercropping systems, though only few cultivars are suitable for this (Baudoin, 2006). Lima bean originated from Guatemala, Mexico and Peru. Once domesticated, it spread throughout the Americas, and the Spaniards imported it to the Pacific Islands and the Philippines. It later spread to South-East Asia while the slave trade resulted in the introduction of the lima bean to Western and Central Africa. Lima bean is now widely naturalized in the tropics. It is found in humid, sub-humid and semi-arid tropical climates as well as warm temperate climates. 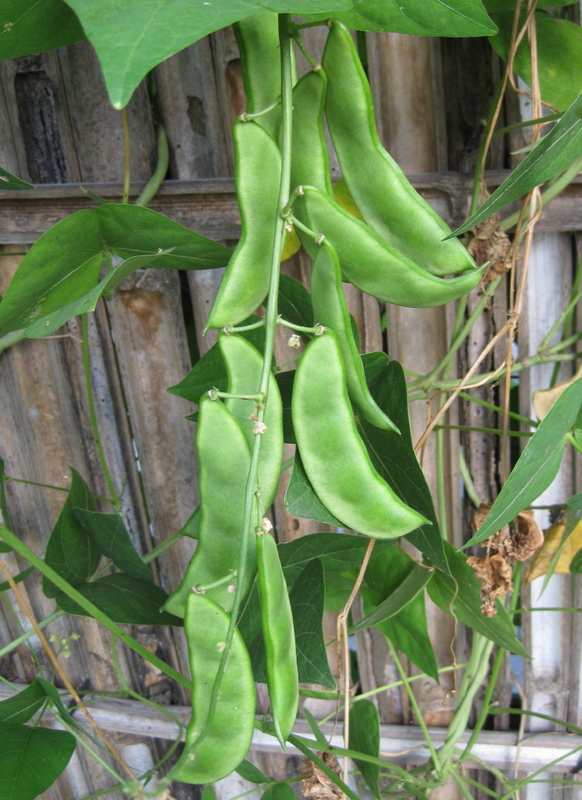 In humid climates, lima bean is often intercropped with cereal crops, root crops or other crops, while in drier climates it tends to be used as sole crop. Phaseolus lunatus requires a dry period for the seeds to mature. It thrives in sloping well-drained areas from sea level up to an altitude of 2000 m (and up to 2800 m according to some reports) (Ecoport, 2011; Ecocrop, 2011; Baudoin, 2006). Lima bean grows better in areas where temperatures range from 16 to 27°C and where annual rainfall is about 900-1500 mm. Once well established, it can withstand rainfall as low as 500-600 mm. Perennial forms of lima bean are considered drought resistant. Lima bean is tolerant of a wide range of soils but prefers well-drained soils with a pH above 6. However, some cultivars do well in acid soils with a pH as low as 4.4 (Ecoport, 2011; Baudoin, 2006). Lima bean is a minor grain legume. While global production statistics are lacking (lima beans are aggregated with other legume grains in FAOSTAT), lima bean production is not likely to exceed 200,000 t/year (compared to about 5 million t of cowpea for example). In 1995, the USA were the most important producer with 70,000 t/year, followed by Madagascar (8000 t) and Peru (5000-5500 t). About 50,000-100,000 t came from Africa during the same period (Baudoin, 2006). The bushy forms of lima beans are fast growing and produce seeds in about 60-110 days. Perennial lima beans take 180-240 days to reach maturity and may be harvested about 330 days after sowing (Ecocrop, 2011). Lima bean can yield up to 2-8 t of fresh seeds but yields depend on cultivar type and cultivation conditions. In the tropics, in experimental conditions, climbing types grown in pure stands may yield 3-4 t/ha dry seeds whereas bushy types may yield 2-2.5 t/ha (Baudoin, 2006). Lesser known African cultivars can give considerable yields in high heat and moisture conditions (Ibeawuchi, 2007). When intercropped, seed yields are about 0.2-0.6 kg/ha (Ecocrop, 2011). Fresh matter production was 15 t/ha in Madagascar (Baudoin, 2006). Lima bean is an N-fixing legume that sheds its leaves copiously and is thus valuable for restoring soil fertility (Ibeawuchi, 2007). Like other grain legumes, lima beans are relatively rich in protein. They contain about 25% protein in the DM, a value comparable to that of peas and cowpeas (Vigna unguiculata), but variability is remarkably high (from 19 to 28% DM). Starch content is also high, about 40% DM, though lower than the starch content of peas and cowpeas. 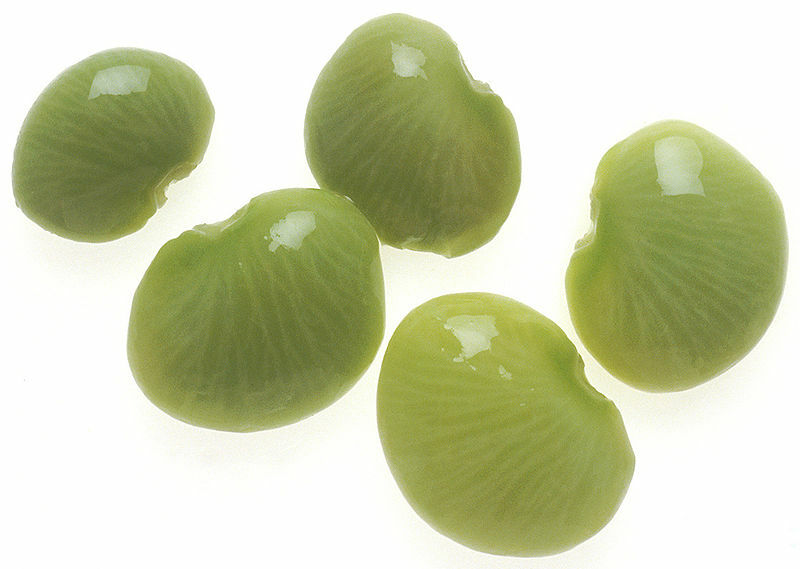 Lima beans are low in cell wall constituents (about 5% crude fibre; Van Soest data is lacking as of 2013) and low in fat (less than 1.5% DM). The main limitation of lima beans in animal nutrition is the presence of antinutritional factors, their elimination requiring processing. During germination, there is an increase in phytase activity that results in a decrease in phytate content, which could have a positive impact on poultry and ruminant nutrition, and on the environment (Azeke et al., 2011). Lima bean vines are a by-product of the seed crop. There is limited nutritional information available. The DM content of one fresh sample was 38% (Ajayi et al., 2009). Protein content is comprised between 12 and 19% DM and fibre content seems relatively high (38-45% NDF; 7% lignin DM). Like the seeds, lima bean foliage contains antinutritional factors including oxalates, tannins and saponins (Ajayi et al., 2009). The seeds and leaves of lima bean contain cyanogenic glucosides (linamarin and phaseolunatin) and linamarase (the enzyme that turns cyanogenic glucosides into HCN). Cyanogenic potential varies with maturity, stage of development, genotype and cultivation conditions. Young leaves and seeds have higher HCN potential (Ballhorn et al., 2005) and cultivated varieties contain much lower cyanoglucosides than wild varieties (100-120 ppm vs. 2000-2400 ppm) (Baudoin, 2006). Acute HCN poisoning causes cellular asphyxiation and results in difficulties in breathing, muscle spasms and death. Sublethal poisoning may result in a goitrogenic effect, neurologic and urinary disturbances. Soaking and cooking lima beans remove most of the HCN, and sublethal poisoning can be alleviated by supplements of iodine and sulphur amino acids (Barnes et al., 2007; Cheeke, 1995). Raw lima beans contain phytic acid, protease inhibitors and lectins. Lectins are known to have hemagglutinating activity and hence low nutritive value (Grant et al., 1983). Those antinutrional factors can be completely removed in lima beans by dry or moist heat treatment (Adeparusi, 2001). Lima bean foliage contains a wide range of antinutritional factors such as oxalate (5%), saponins (1.3%), phytic acid (1.8%) and tannins (6.5%) (Ajayi et al., 2009). The nutritive value of lima bean seeds is difficult to assess due to the lack of available information. A 1945 report gave a rather high in vivo OM digestibility of 84% (measured in sheep), corresponding to an ME value of 12.2 MJ/kg DM (Woodman, 1945), which is consistent with what is generally observed for legume seeds. A 2010 study reported much lower values, with an OM digestibility (gas production method) of 50% and an estimated ME of 8.8%. 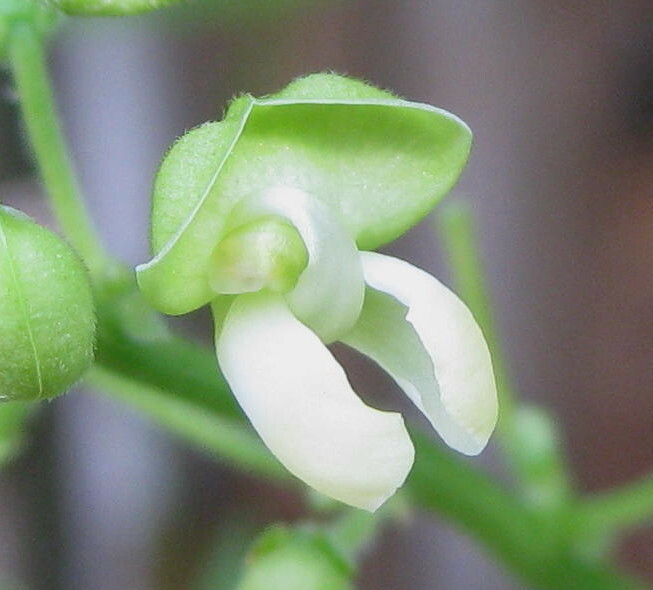 Those values were similar to those obtained with jack bean (Canavalia ensiformis), but much lower than those obtained with other tropical legumes grains, including African yam bean (Sphenostylis stenocarpa), cajan pea (Cajanus cajan), sword bean (Canavalia gladiata), lablab (Lablab purpureus), bambara groundnut (Vigna subterranea) and soybean (Glycine max), which led to the conclusion that lima bean was unsuitable as a protein supplement for ruminants. However, this study also reported large and somehow inconsistent figures for fibre, indicating that more research is clearly needed (Ajayi et al., 2010). Pods from varieties with uncoloured seeds can be fed to goats and sheep (Göhl, 1982). Lima bean provides fodder, including hay and silage. Reported OM digestibility values range from 56% (gas production) to 68% (in vivo), corresponding to ME values of 8.4 and 9.2 respectively (Ajayi et al., 2009; Phillips et al., 1946). Lima bean vines fed to sheep had a slightly higher DM digestibility than pea vines (65 vs. 63%) but were less palatable, probably due to their slightly higher lignin content (6.4% vs. 6.1%) and lower lignin digestibility (11% vs. 16%) (Davis et al., 1947). In the early 20th century, lima bean straw (dried vines left after the harvest) used to be a valued livestock feed for cattle and sheep in Southern California. Its nutritive value was considered to be comparable to that of cereal and grass hays. It was suggested that it be fed in combination with alfalfa hay in order to increase its protein content (Woll, 1915). Dairy cows can be fed on lima bean vines (with or without seeds). Vines should be chopped in order to enhance palatability. Young vines cut when the leaves were still green resulted in higher intake resulting in a more nutritious diet. It was also possible to use leftover vines after pod harvest (Haenlein et al., 1965). Young vines are easily made into silage (Ishler et al., 2010). Silage made out of leftover vines could be fed to growing and milking cattle. However it had relatively low digestible energy and required more energy supplementation than maize silage (Haenlein et al., 1965). It is recommended to limit the feeding of bean silage to 60 to 80% of the usual intake for forage dry matter (Ishler et al., 2010). In Nigeria, a silage made of young lima bean vines (before flowering), fresh Napier grass (Pennisetum purpureum) and pineapple pulp increased dietary protein content, nutrient digestibility, nitrogen absorption and retention, and also reduced weight loss of goats during the dry season (Ajayi, 2011). In a comparison of such silages made from the vines of either lima bean, cajan pea or African yam bean, the silage based on lima bean produced the optimal growth rate and weight gain in the goats (Ajayi et al., 2012). As of 2013, no information was found on the use of lima beans for pigs. It is likely that the presence of antinutritional factors limits the use of raw lima beans in pig diets. Heat treatment may allow the use of lima beans in limited amounts, at least in less sensitive adult pigs. Raw lima beans negatively affect growth and metabolism in broilers (Achi et al., 2007; Ologhobo, 1992). This is due to the presence of antinutritional factors, mainly lectins and trypsin inhibitors, which act on the digestive tract (Ologhobo et al., 1993b). As for many other grain legumes, thermal treatments can alleviate these effects (Akande et al., 2010). For instance, the inclusion of 25% soaked and boiled lima beans maintained growth performance in broilers (-7%, which was not significant) whereas the same quantity of raw lima beans depressed growth by 25% (Ologhobo et al., 1993a). Boiled and toasted lima beans included at 5% in broiler diets improved performance when compared with the soybean-based control diet. At higher levels, growth was reduced but feed efficiency was maintained due to a lower feed intake (Akinmutimi et al., 2008). Raw lima beans should not be used in poultry. After thermal treatment, lima beans can be used at 5 to 10% in broiler diets. Due to the potential long-term effects of antinutritional factors, it is not advisable to use lima beans in layer diets. There is limited information on the utilization of lima beans by rabbits. A significant decline in feed intake and weight gain as well as poor feed and protein efficiencies were reported in weaner rabbits fed diets containing 30% of raw lima beans (Arijeniwa et al., 2002 cited by Akinmutimi et al., 2006). 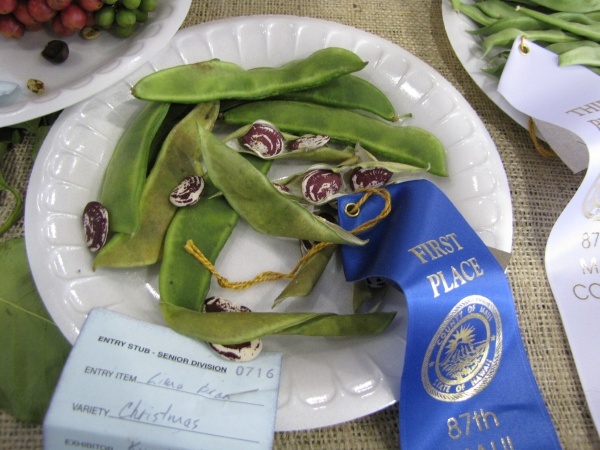 However, no information is available concerning lower inclusion rates of raw lima beans. 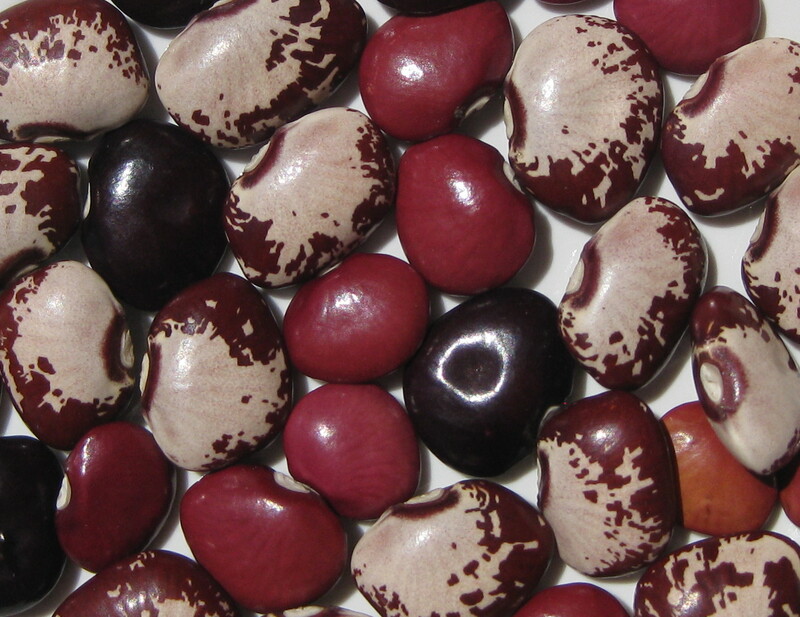 Toasted lima beans (toasted up to brownness, i.e.10 minutes) included at 0, 25, 30 and 35% resulted in similar growth performance at 0 and 25% and then to a linear decline in performance above the 25% inclusion rate. With 35% toasted lima bean meal in the diet, the average daily gain was reduced by 20% when compared to the control diet (Akinmutimi et al., 2006). Because this study was conducted with only 3 rabbits per treatment, new studies are necessary to evaluate thoroughly the value of raw or toasted lima beans for rabbit feeding. It must also be pointed out that the lima bean protein is deficient in sulphur amino acids, providing only 70% of sulphur amino acid requirements for growth (Lebas, 2004). Lima bean seeds are not commonly fed to fish due to their medium protein content and to the presence of antinutritional factors, though they might be valuable feeds for fish. Lima bean seeds could be used to partially replace fish meal provided that they are supplemented with protein sources with better amino acid profiles. Lima bean seeds could also help in supplying carbohydrates in semi-intensive fish diets (Ogunji et al., 2003). Baudoin, J. P., 2006. Phaseolus lunatus L.. Record from Protabase. Brink, M. & Belay, G. (Editors). PROTA (Plant Resources of Tropical Africa / Ressources végétales de l’Afrique tropicale), Wageningen, Netherlands.